Got these two albums from the fine folks over at the newly minted French label Bookmaker Records. 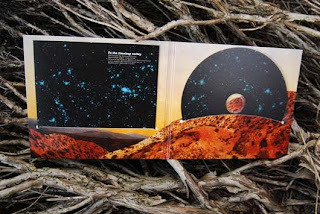 They aim is to support and promote worldwide artists that freely create a personal, original and "generous" psychedelic/folk/heavy/atmospheric/melodic drone music. 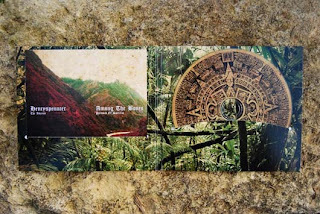 Bordering genres and bordering worlds, Bookmaker intends to fill some kind of gap in underground psych music, especially in France where nobody has actively eked out an existence on these interplanetary plains (well, not that SM can ascertain...). The first two releases both involve French one-man sonic goliath Henryspenncer. 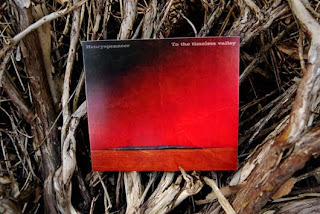 To The Timeless Valley is his second album, and it offers the confrontation of windy psych with heavy industrial and cosmic vibes, that invites you to an endless travel in imaginary deserts. Its exactly what we here on Planet Masala salivate over. Then there is the split LP between Henryspenncer and likeminded solo English project Among The Bones. 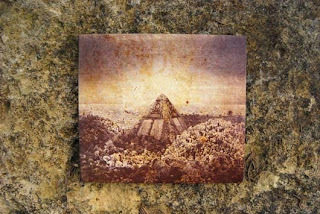 The tracks here offer up a more tribal approach to the drone genre, somewhere between Ennio Morricone and Earth, with some shoegaze/ambient influences fleshing out the result.